In these hand-selected episodes, viewers will see Bubba and Mama beginning night school -- although the first assignment reminds her of the reason she dropped out to begin with; Mama getting hooked on Raytown's version of the Home Shopping Network, the K-RAY Teleshopper, and the family's aversion therapy used to break the spell; and Mama's appearance on Jeopardy!, in which she both kisses Alex Trebek on the lips and wins a trip to Hawaii! SPEND SOME QUALITY TIME WITH TV'S MOST DYSFUNCTIONAL FAMILY ACROSS SIX HILARIOUS SEASON FOUR EPISODES, HAND-PICKED BY VICKI LAWRENCE (A/K/A "MAMA") HERSELF! This winter, ward off the chill with lots and lots of laughter found in Mama's Family: Mama's Favorites - Season 4 , the latest release from StarVista Entertainment/Time Life in the Mama's Family franchise. This collectible DVD single brings together Vicki Lawrence's six favorite Season 4 episodes, hand-picked by Mama herself! Episodes include: "Educating Mama," "Zirconia's Are A Girl's Best Friend," "The Sins of the Mother," "Mama on Jeopardy!," "Mama Goes Hawaiian (Part 1)" and "Mama Goes Hawaiian (Part 2)". 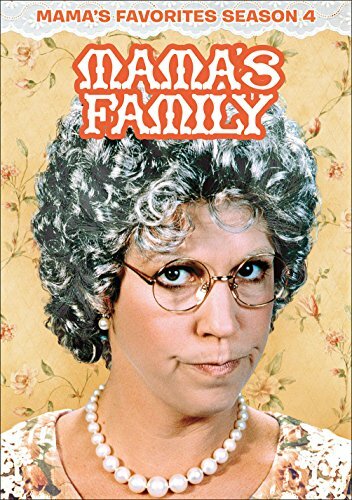 Parade.com said that Mama's Family has "never looked better" and Beyond Media Online calls the series "a true classic...an underrated show that deserved many more accolades than it has received". Don't miss out on the best of Season Four with Mama's Favorites! ego who would eventually be spun-off into her own delightfully offbeat sitcom "Mama's Family," which debuted on NBC on January 22, 1983 and ran for six seasons. Set in the fictional city of Raytown, Mama's Family revolves around the eye-opening escapades of the Harper clan, headed by formidable matriarch, Mama Harper, a fiery-tempered no-nonsense woman who does not suffer fools gladly. In fact, she makes everybody suffer a little with her patented snappy retorts that truly put the "diss" in dysfunction. Across 130 thirty-minute episodes, viewers were treated to family comedy of the highest degree.